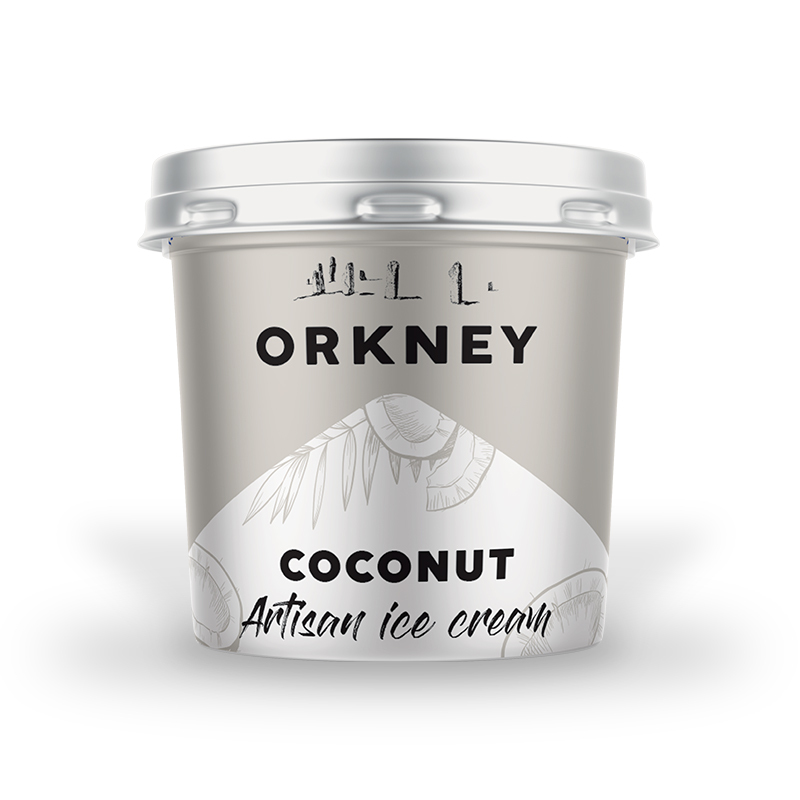 A taste of tropical island life that melts in the mouth like a drop of Orkney snow in the equatorial sun. Whole Milk, Double Cream (Milk), Sugar, Coconut (Sugar, Water, Desiccated Coconut, Glucose Syrup, Coconut Cream, Modified Maize Starch, Flavouring), Dried Skimmed Milk (Milk), Emulsifier (Mono- and diglycerides of fatty acids), Stabilisers (Sodium alginate) (Milk). 12 months from manufacture at -18C or below. Once thawed do not refreeze. For Best Before End date, see base of tub.